The second slice of DLC in Treyarch’s 2016 schedule for Black Ops III is here, and once again Xbox players will have to wait a little longer to get their hands on it. Like the former Awakenings, Eclipse features four new maps for multiplayer, including three brand new creations and one that will be familiar to fans of the 2008 World at War. And, of course, a Treyarch Call of Duty is not complete without a Zombies map. True to its name, Knockout is certainly a looker of a map. Set in the courtyard of an Oriental style building with dappled shade provided by cherry blossom trees, it is a colourful addition to the roster. It’s a fairly compact map with most of the action taking place outside. There isn’t much in terms of long lines of sight so snipers may find it difficult, and inside routes are tight and cramped. I’ve a feeling it will be a favourite for fans of the quick run and gun style of play that suits maps such as Combine, Nuketown and Skyjacked. There are some nice additional touches with a kitsch disco room and a Bruce Lee-style mirrored room of death. Rift is possibly the weakest of the maps on offer, but it is a lot of fun to play. It looks like it has been lifted straight from the set of Star Wars where Anakin and Obi Wan fight over the lava pools of Mustafar. It looks cool, with the platform you play on high above pool of lava, but the layout itself is a little straightforward in comparison to most of Treyarch’s maps. It’s a very linear map, long and narrow with straight lines to each spawn regardless of the route you take. Lots of activity seems to be focused down one particular side with two rooms facing each other for snipers to duel it out. But watch out for the numerous head-glitching spots! Another weak map, Spire is set atop a huge sky scraper. The views of other enormous buildings are impressive, their summits high above the cloud cover, but the map itself is fairly underwhelming. It’s a pretty large space that feels very familiar, and is faintly reminiscent of a map from Advanced Warfare. There is very little in terms of elevation to make use of the jump-pack, with most of the wall running opportunities relegated to the outskirts where not much traffic is. I’ve mainly played Kill Confirmed on it and it seems a bit barren of action at times, although objective modes do fair a little better on it. My favourite map so far, not least because it is a re-imagining of Banzai from World at War. It’s rendered unrecognisable here though with a post-apocalyptic Mad Max vibe to it. There is a lot of detail with tribal tags all over the walls, huge stacks of tyres and a cool water area where lots of action seems to be focused. It feels like the largest of the battlescapes on offer, with lots of tunnels and long lines of sight down the sides of the map. It’s a space perfect for objective modes with tense cat and mouse games of Search and Destroy. It’s not a Treyarch game these days without a Zombies map, and Zetsubou No Shima doesn’t disappoint. It’s not quite a grand and imposing as Der Eisendrache from Awakenings, but there are plenty of puzzles and things to do for fans of the mode. Set on a mysterious Pacific island, it’s suitably creepy with doors hidden behind huge spider webs and jungle growth. You even have plant-eating zombies! 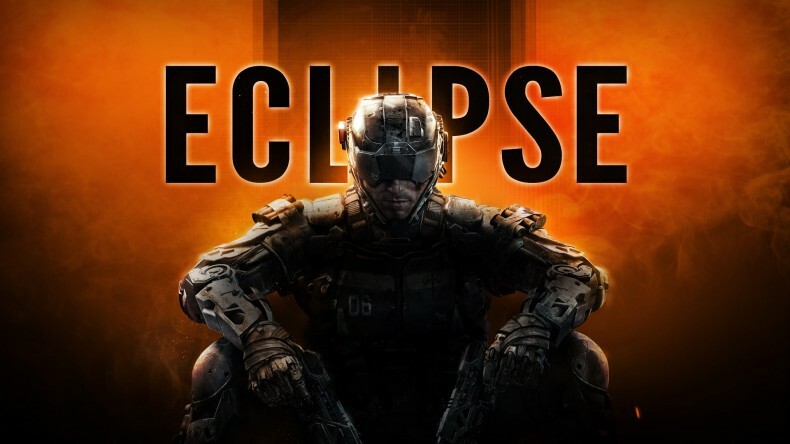 Eclipse is another competent map pack featuring some fun new maps to play on. Judging by the way Call of Duty has changed over the years with maps getting smaller and smaller and the game play getting faster and faster, the two most popular maps will likely be Knockout and Rift. Impressive extra detailing in all the maps. Fantastic re-imagining of an old classic. Zombies map has some fun secrets. Still suffers poor spawns even on the larger maps.